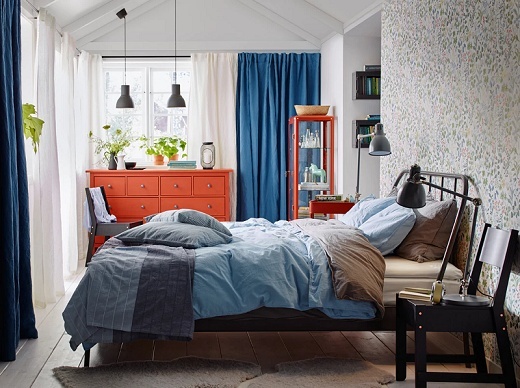 Perfect rest starts from a comfy bedroom. Unleash your creativity to make not only comfortable but also a pleasant place to start and end your day. Whatever your ideas, we provide all bedroom furniture you need with affordable price. 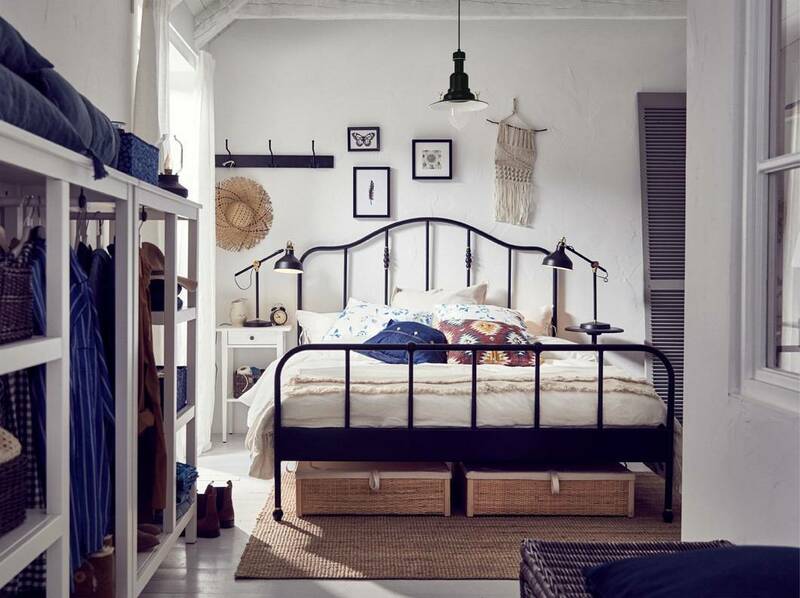 Let's checkout our collections and find the bedroom design you like. Here’s a less conventional (yet functional) way to store all your clothes in a one-room apartment. An open wardrobe, cabinet, drawer units...these two theater students desperately need them! 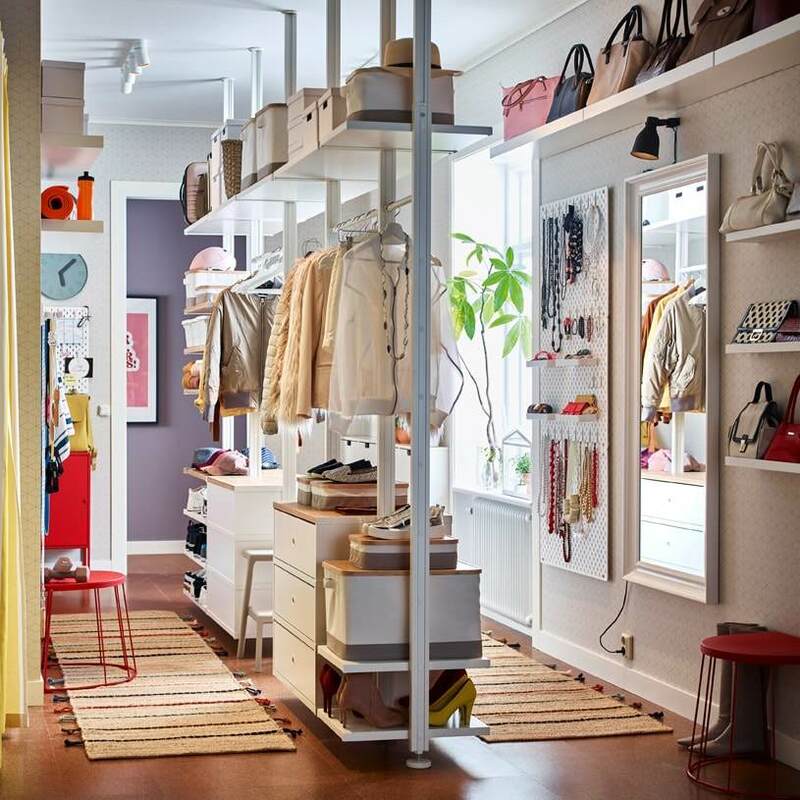 Step into the dream walk-in closet. With drawers, shelves, boxes and bins, there’s plenty of clothes storage for both him and her (but mostly her). So place a chair in your dressing room lounge. Read and relax, or just get inspired! 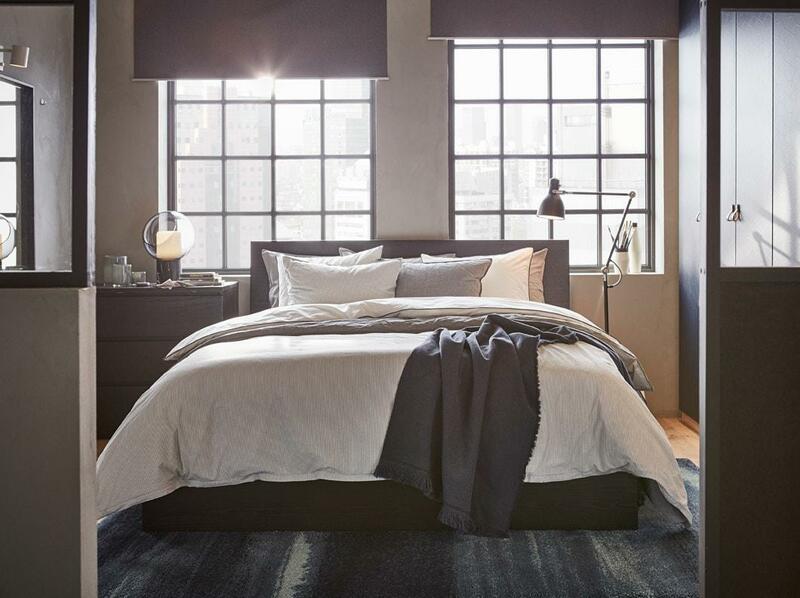 Look how cool it is to have a light and airy bedroom to start your day with. 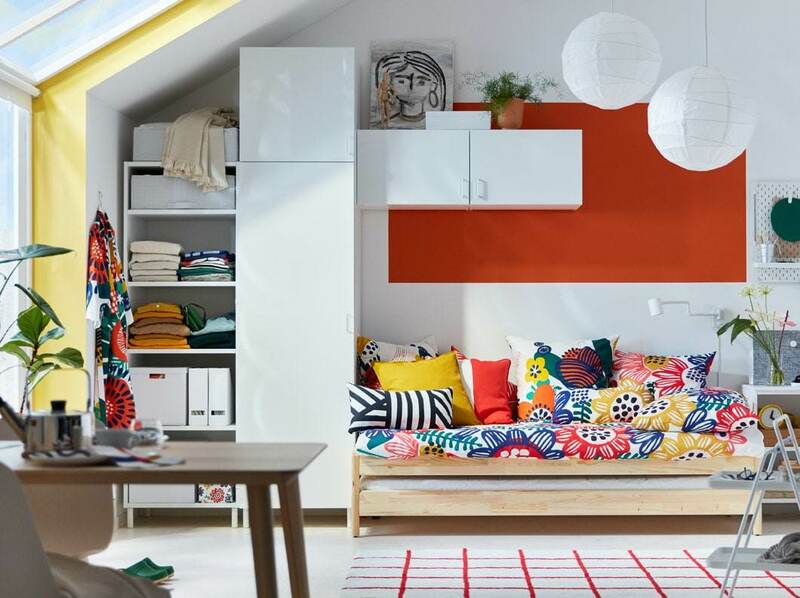 Choose white furniture and combine them with some colourful textiles to brighten up your daily routines. 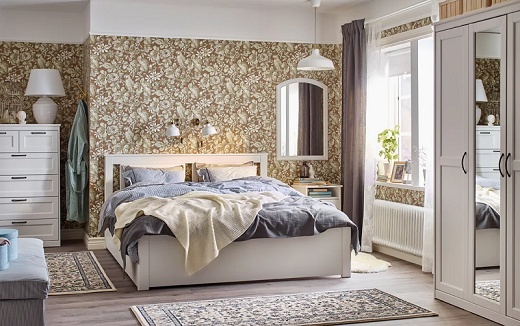 A traditional style bedroom with bold coordinated colours and decorative patterned walls can be a great choice for you. Also put some plants near the window to enhance your bedroom's natural beauty and air quality for a better sleep. 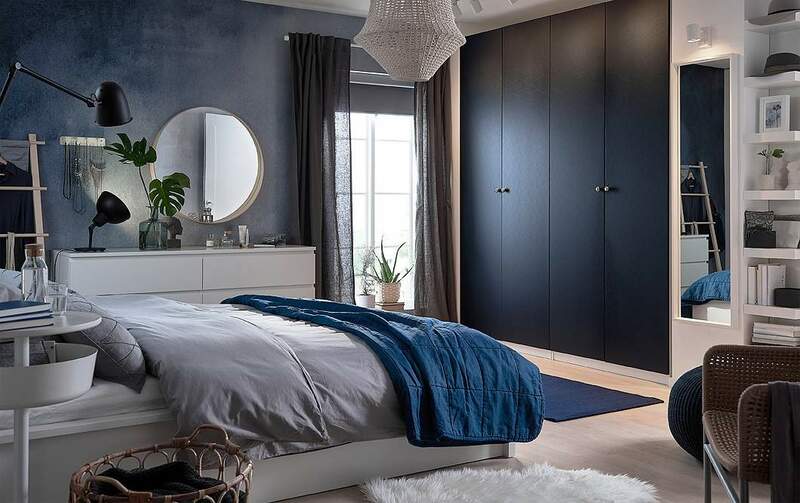 Dark beige bedroom in contrast with bright white furniture and open storage unit for clothing to bring a Nordic feel in your bedroom. And the good thing is everything easy on your wallet, too. Create more space to breath in the bedroom. How? Get things organised! Choose furniture with many drawers to give you more room to store your stuff. Keep all the essentials in a neat, orderly place. So you will never come home to a messy bedroom. There is nothing better than a warm and comfy bedroom in a cold rainy days. Snuggle up on the bed with the added warmth of the textiles makes the sleep-in seems so splendid. This is a small but smart space. Using a flexible stackable bed with two mattresses that can be used as a sofa, single, double, or even twin bed for extra guests and also a floor to ceiling curtain to cover up the open storage furniture. 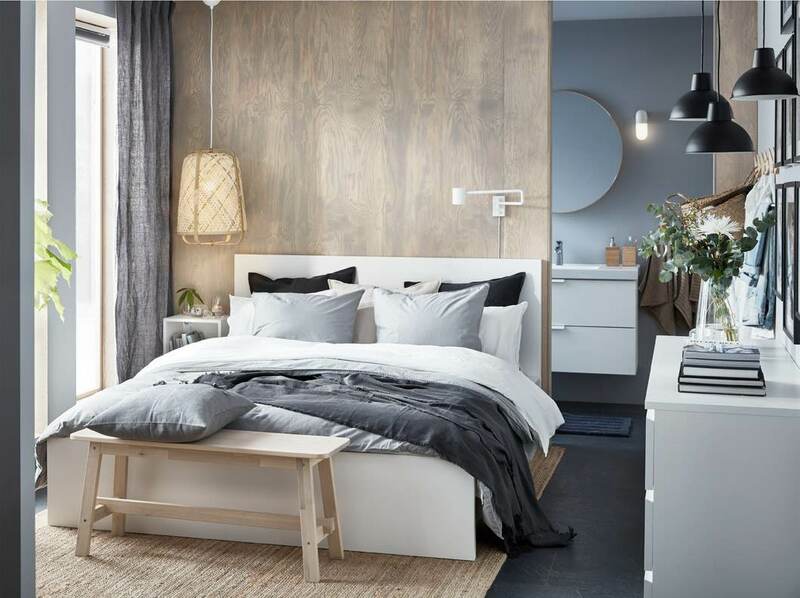 A perfect bedroom must provide the calmness like the nature has given to humanity. 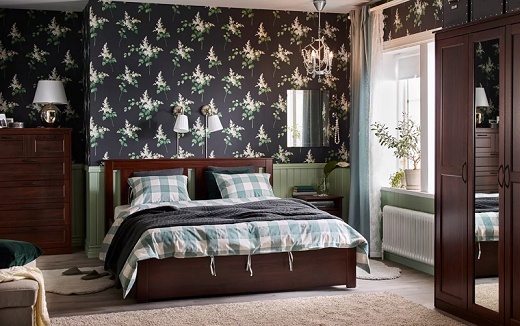 Adding vases which contain flowers and plants inside your bedroom brings more intense natural vibes. No need to open any doors — these slide to save space in a narrow hallway. Let your pendant lamps hang low, and your children’s artwork shine. Step inside and see how this family organises! 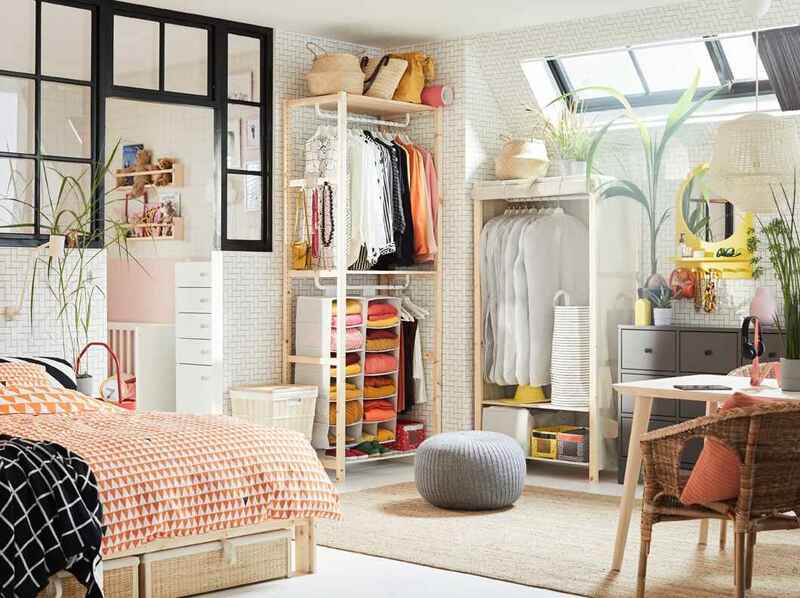 Everyone needs a space to call their own — even in shared closets. 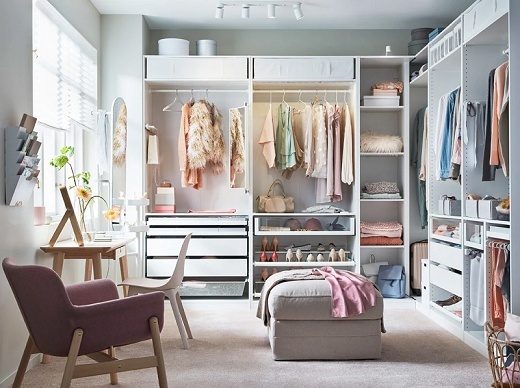 Arrange an open storage wardrobe in the middle of the room, follow a few organisation tips, and you’ll be able to divide your space no matter how small or narrow. 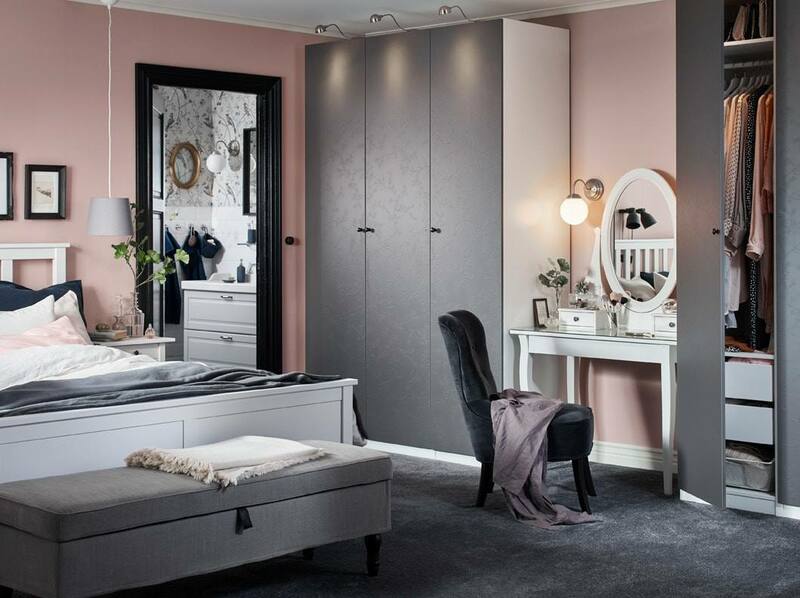 Pastel colours, cool greys, and a subtle floral pattern on the closet doors help set the tone for this relaxing and inviting bedroom. 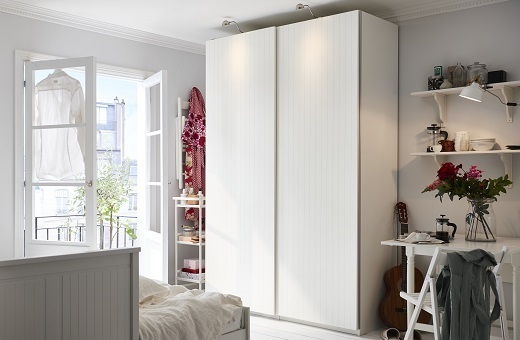 If crisp, clean lines are your thing, consider a wall-to-wall wardrobe in your bedroom for a snug storage solution. Even if the architecture of your home may seem awkward at times, you can always work around it to create something that works for you. We get it, organising can be hard to start — especially in small spaces. 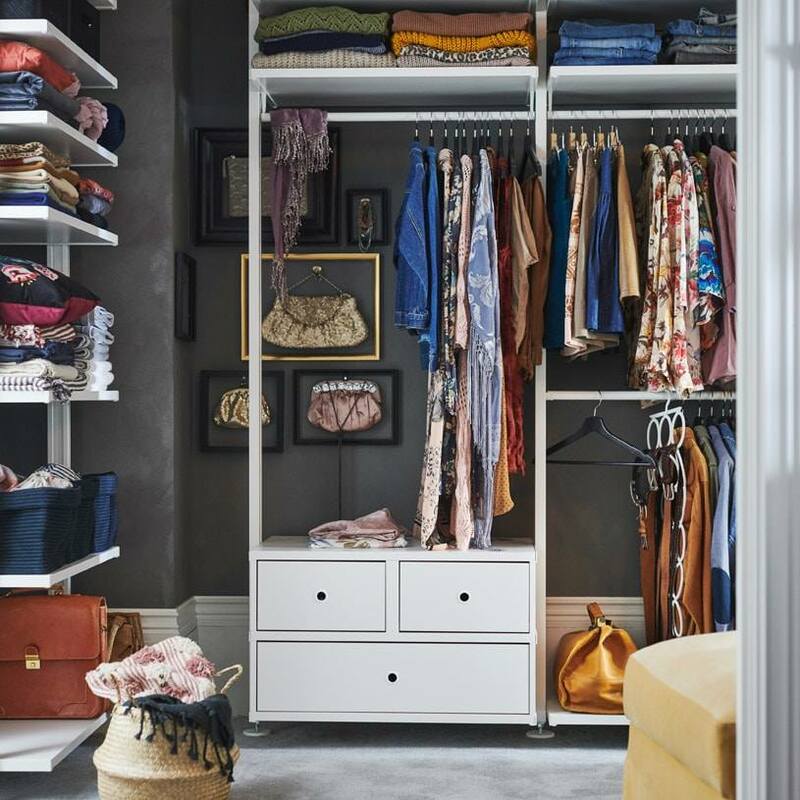 Here are a few ways you can get started to arrange clothes in your bedroom, and apply them to your own home. As spaces get smaller in size and higher in price, we find ourselves needing to cohabitate. 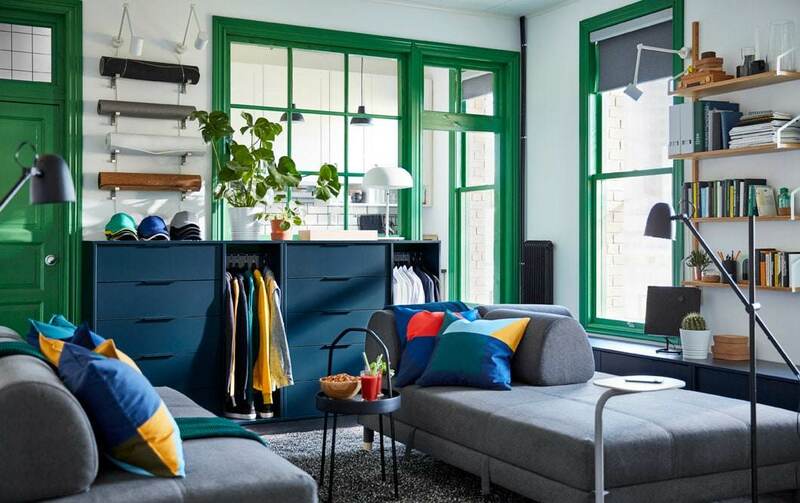 With smart storage solutions and an unconvential way to arrange your clothes, even the most unlikely roommates can find some common ground. Who says you can’t live your dream? 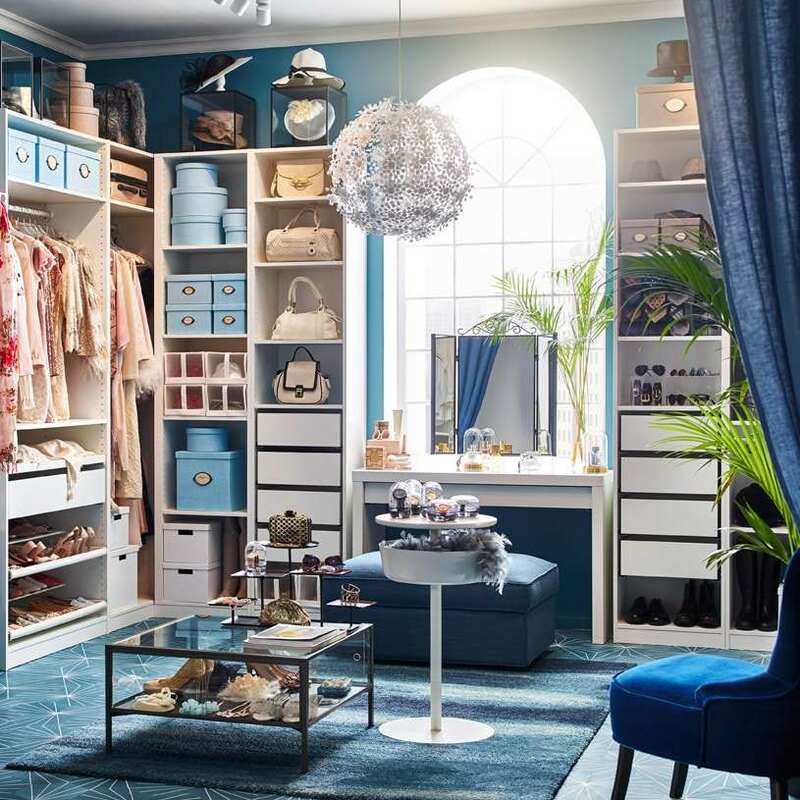 Decked out in royal blues and functional furniture, it is possible to create a luxurious-looking wardrobe for you and your partner (but mostly you). Most of us want to change the mood of our homes, but don’t know where to begin. 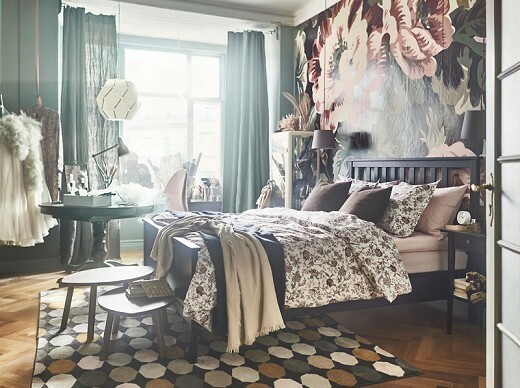 Sometimes, it’s the little things — a new pair of bedlinens with bright patterns, or a new bedside table — that can help give your room another dimension. Family life takes place around the clock, espeically when you have several kids of different ages. Meet a shared bedroom with flexible furniture that gives each family member their own individual niche. A bedroom is all about you. It’s where you can unwind and recharge for the next day. Do what makes you feel good, surround yourself with the things you love, and make life easier by getting organised. 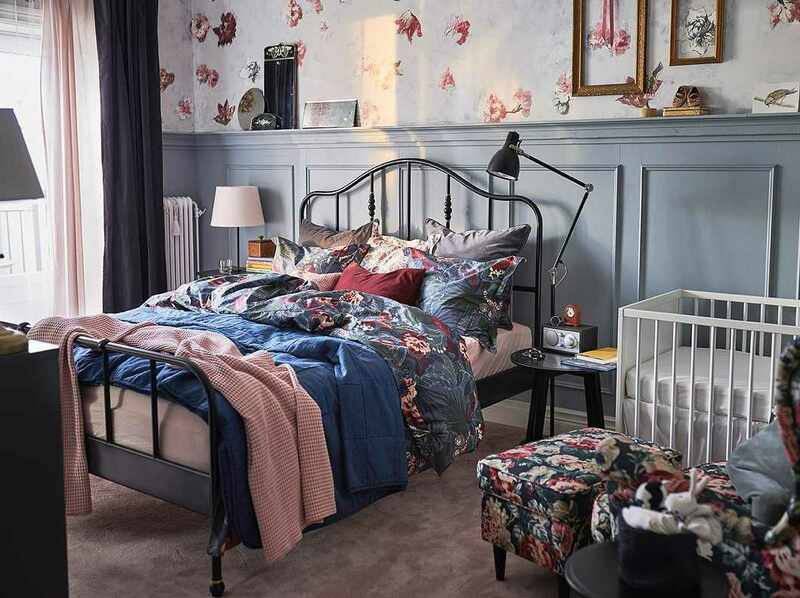 A big bed frame in a small bedroom – here's how to create a relaxing, yet fashionable, feel with lots of practical storage solutions. Sleep in a bed with hotel-quality comfort. 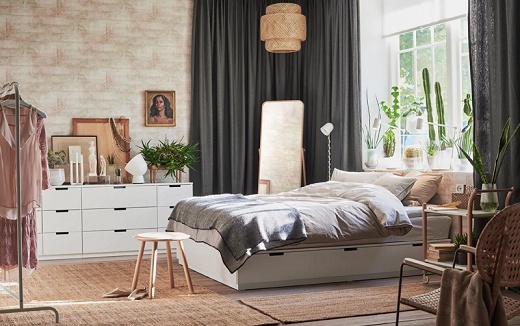 Woven from natural fibres, HOMMELVIK is the kind of continental bed you can place in the middle of your room to create a truly pleasant sleeping environment. Solid wood with rustic charm; it’s the perfect bed frame if you want to create a homely atmosphere in your bedroom. Pair it with soft sheets, sheer curtains and an open wardrobe solution to create a comfortable place to sleep just the way you like it. As apartments get smaller, we need smarter ways to store all our things. 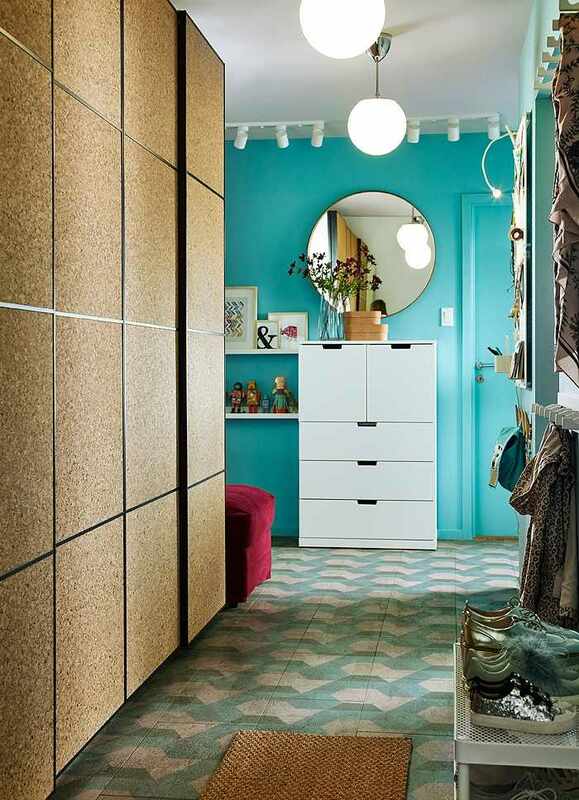 Carve out some space up and around your bed for a customised closet. With an ottoman, you can store household items (and even a vacuum!). 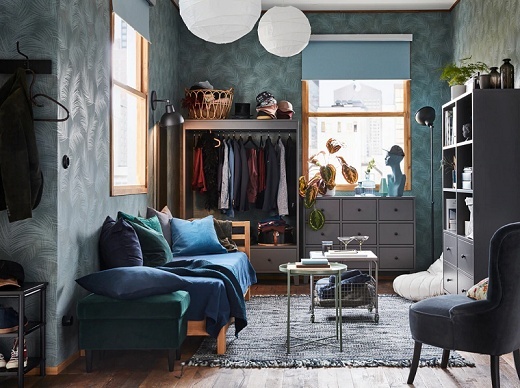 A creative corner, a walk-in closet, and a breakfast area – discover how a bedroom can be so much more than only a bedroom and feel so calm and relaxing at the same time. 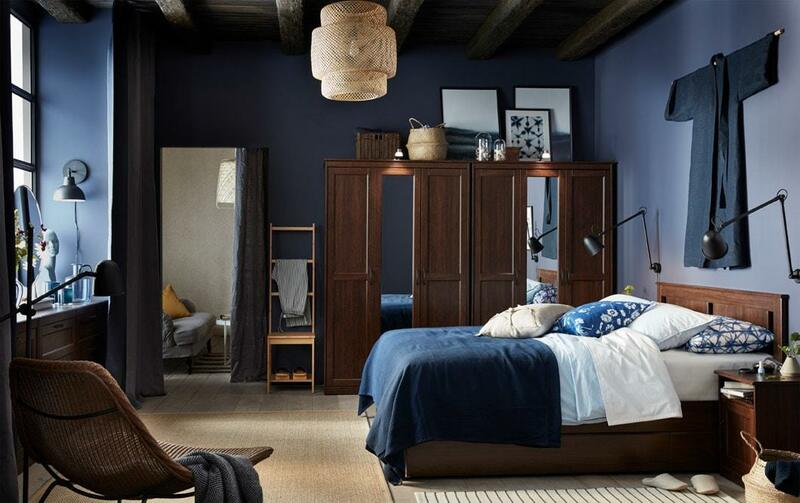 Darker, coordinated colours and materials create a relaxed and trendy look in your bedroom. A reading area, lots of storage solutions, soft fabrics and block-out curtains assure that you will have a good night's sleep – every night. 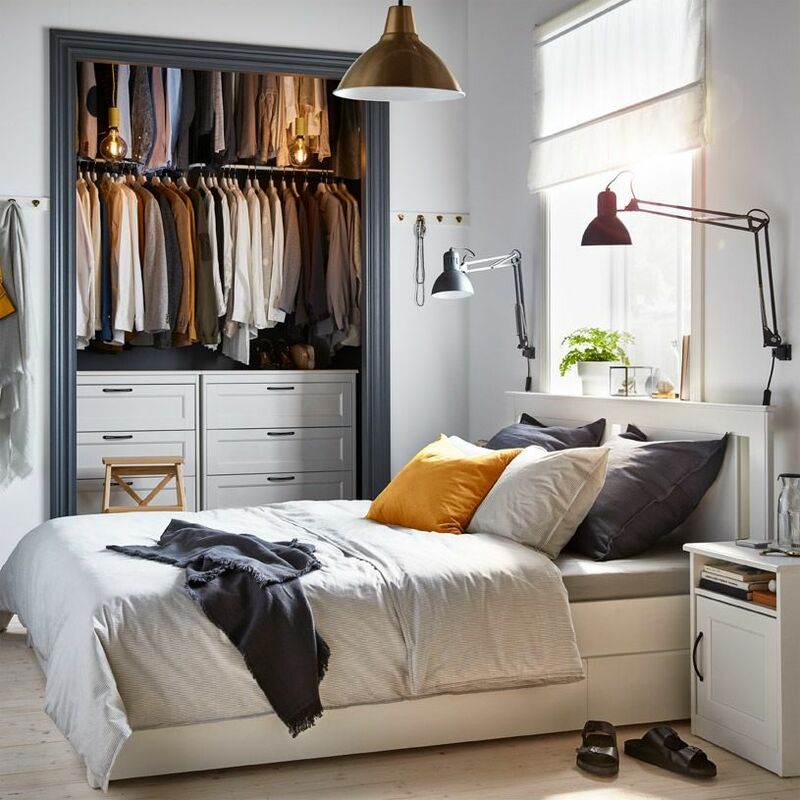 Combine an open closet, smart storage, trendy fabrics, and brass-coloured details to achieve a coordinated bedroom with a fashionable twist!